College tuition continues to grow. Student loan debt reached almost $1 Trillion last year. College graduates are out of work. Higher education as the route to success in America is under review. Follow the debate. Can 'climate kids' take on governments and win? 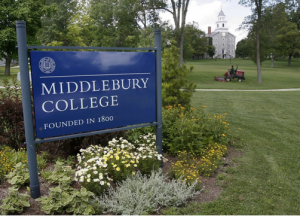 Students at Middlebury College gave the school’s administrators a lesson this week in the difference between cowardice and courage when dealing with a controversial speaker. Recall how in March 2017 protesters at the private Vermont liberal-arts college shut down a speech by Charles Murray, injuring professor Allison Stanger in the process. Partially in response to that fiasco, Middlebury’s political science department founded the Alexander Hamilton Forum, which promotes free speech. The forum planned to host a speech this week by Ryszard Legutko, a Polish member of the European Parliament. Mr. Legutko has criticized multiculturalism and gay marriage and, following the usual pattern, some students launched a petition claiming he “has built his career off of homophobic, xenophobic, racist, misogynistic discourse.” They called for the political science department and Middlebury’s Rohatyn Center for Global Affairs to rescind co-sponsorship of the speech. They also planned to demonstrate. Was this speech at UM the start of civility on college campuses? What Are Free Speech Protestors Afraid Of? 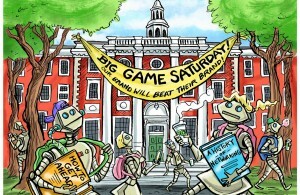 White Hollywood Leftists Run Giant Scam on Major Universities!